Preheat oven to 350u00b0F with the rack in the middle position. Grease an 8-by-8-inch baking dish. 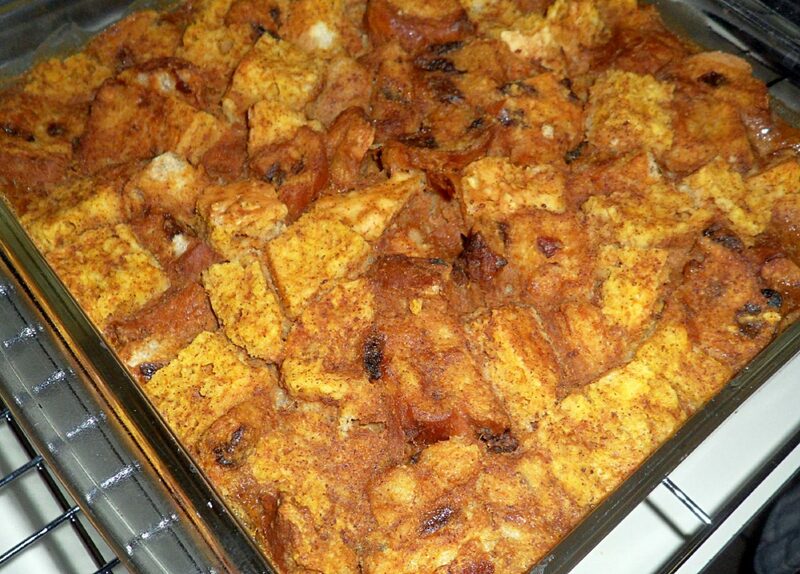 Make bread pudding: Whisk together pumpkin, eggs, milk, cream, sugar, butter, cinnamon, vanilla, salt, ginger, and nutmeg in a bowl until smooth. Fold in bread and pecans. Let stand 30 minutes. Transfer to prepared baking dish and bake until set, 30 to 35 minutes. xMake bourbon sauce: Combine sugar and 1/4-cup water in a medium saucepan. Bring to a boil over medium-high heat and cook, without stirring, until sugar mixture is dark amber in color, 12 to 15 minutes. Remove from heat and carefully add cream and bourbon, stirring until smooth and creamy.